If you have ever wanted to experience the song "Home on the Range" in live action, then Custer State Park in South Dakota is where you would go to do it. 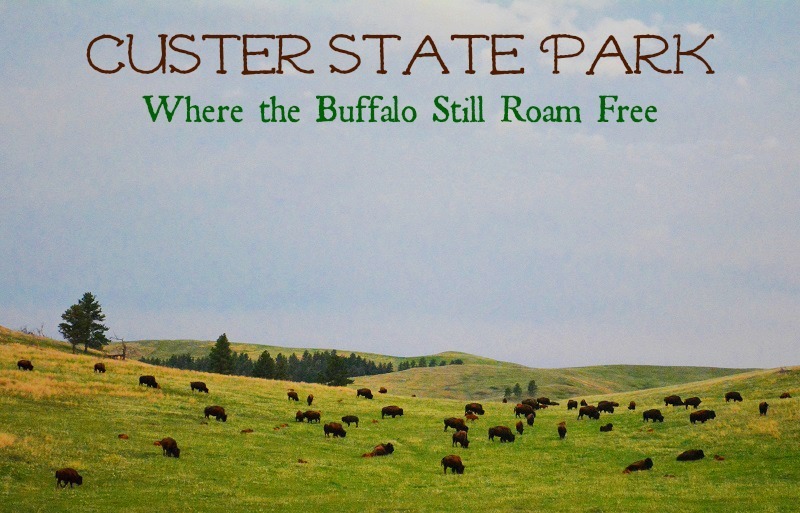 From large herds of bison that roam free across the prairieland, to majestic elk and sprinting pronghorn, Custer State Park has a abundance of wildlife for visitors to experience. This was our fifth stop on our #70DayRoadTrip, and it was definitely worth the haul through the winding mountain roads to get there. If you can do nothing else on your visit to Custer State Park, I highly recommend you drive the Wildlife Loop Road. It comes by its name honestly, as there is not a single time of day you could drive it and avoid seeing any wildlife. We drove it three times during our three night stay here, because we enjoyed it so much. Early mornings or late evenings before the sun sets are the best times to visit this road where wildlife roams free, backed by rolling hills of green, and at just the right time of day, a glorious sunset which lights up the sky with a flash of colors. You can find Bighorn Sheep, Elk, Deer, Pronghorn, Bison, Burros, Rabbits, Chipmunks, Prairie Dogs and so much more while exploring this road. Be prepared for a 1 1/2 hour drive around the loop, and don't miss out on petting the friendly burros if they're out. Another large part of our visit to Custer State Park was spent fishing at Legion Lake. We stayed at the Legion Lake Campground, which is not the most scenic campground, but the sites do come with electricity, and there are flush toilets and showers. Plus, you are directly across the street from Legion Lake, where fishing, swimming and hiking are available. The boys caught quite a few trout, and Jase had some fun splashing around in the water. Up a steep winding road, that will likely frighten as much as it inspires you to climb to what is sure to be a magnificent view of the Black Hills, you will find the fire tower. Here, you can view miles and miles of surrounding countryside. Mt. Rushmore, The Needles, and the Crazy Horse Monument can all be viewed from this location atop the park's water tower. What Else Can You Do During Your Visit? If you enjoy camping, Custer State Park is home to a variety of different campgrounds, including Legion Lake, where we stayed. There are also lodge rooms and cabin rentals for those who are less friendly with nature. Hiking trails are scattered through the park and range from short strolls to multi-day hikes. Boat rentals, horseback riding, and other fun activities can be arranged at the activities booth, and Ranger programs are available for free during the peak season. Admission into Custer State Park is $15, and lodging prices vary. Legion Lake Campground is $25 per day, and reservations can be made in advance. We thoroughly enjoyed our time at this park, we were never bored and there was so much more we wish we could have explored. Plan a minimum of 4 days to explore this vast wildlife park. I would love to visit Custer State Park. All your pics are great! Oh Kathleen, you are doing this country up right. This is unreal! Your photos look amazing! Love em'! While I have to honestly say I don't miss 'living' in South Dakota, I do miss the absolute beauty of the landscapes there (in summer, not winter, LOL! ).